You may not know their names, but you certainly know what they’ve achieved. They’re the structural engineers who ensure skyscrapers don’t tumble, editors who ensure words don’t ramble, and creative branding experts behind products that have become household names. They are hard-working professionals in their fields who get little to no recognition – and that’s exactly the way they like it. The “they” in this case are a group of people known as “invisibles,” a term used by writer David Zweig to describe individuals who perform key tasks without seeking credit. Every industry has them, folks in the background who uphold high work ethics and standards of excellence while producing exceptional results. But companies may be at risk of losing them if they don’t treat their invisibles right. Before you can treat your invisibles right, it’s essential to understand what makes them tick. 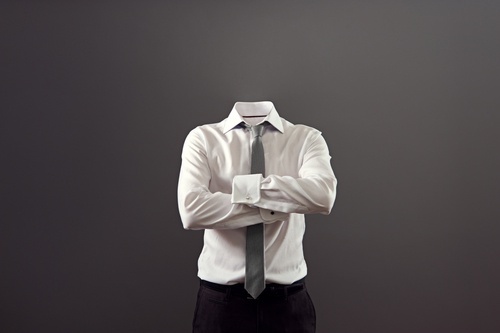 Invisibles tend to share several common traits across the board. In fact, the better they are at their jobs, the more deeply they seem to fade into the background. They’d rather remain hard at work than take time away to play around the limelight. And in some cases the only time they’re noticed is when something goes wrong. Whether it’s precise measurements for a design or the exact spelling and usage of an archaic term, invisibles are going to keep working at it until they get it right. Invisibles tend to look at responsibility as an honor rather than a burden. They generally enjoy being a key player or leader – as long as it happens behind the scenes. Since invisibles aren’t after the big titles, fancy cars or named partnerships with the firm, the usual gamut of perks designed to retain solid employees are not likely to work. But a few other strategies can. While invisibles don’t work to earn recognition, they are likely to appreciate acknowledgement for their roles in the workplace. Giving invisibles a nod for their contributions as leaders, models, mentors or team players can help ensure they know they’re appreciated while boosting performance across the ranks. You may have a handful of invisibles that would be happy to concentrate on their work rather than self-promotion – but some may have caved in to the attention-seeking mindset. Allowing invisibles to remain, well, invisible can add another layer of comfort and satisfaction to their positions. Just because invisibles don’t constantly toot their own horns doesn’t mean they’re not aware of what they’re worth. In fact, you may need to actually adjust the pay rate for invisibles since recognition doesn’t work as a form of compensation for them. One way to make sure you’re aware of all your team members’ accomplishments is to set up a reporting schedule. Request a weekly or monthly email from everyone, which gives you a chance to review all accomplishments – and not just those that have been touted the loudest. Money, praise and other extrinsic rewards have limited value to invisibles. Giving them the freedom and opportunities to develop their craft, focus on their projects and otherwise produce their best work can be much more valuable. While invisibles can be found in every industry, the web design and development arenas seem to be a particularly keen place for them to congregate. A prime example is HubSpot, with 785 employees and locations that stretch from Massachusetts to Australia. There has to be at least a few invisibles mixed in there. Those of us using the HubSpot platform are definitely benefiting from their work in the form of customizable templates, automated tasks, and regular updates – even if we have no idea of the names of the folks who contributed to their creation.